Everyone's lost a piece of outdoor gear at one point or another, so there's no shame in buying a replacement. Our cook pan bundle integrates into our unique canister/cook pan combination system, with the anodized aluminum cook pan doubling as a canister lid and the detachable pan handle working overtime as an internal aluminum bracket. 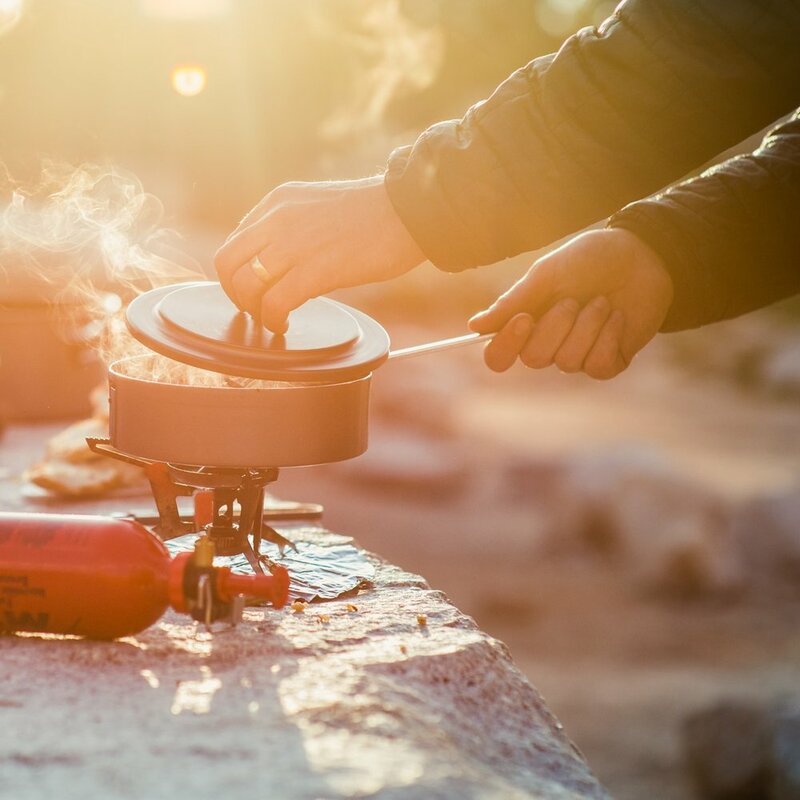 Easy-to-maneuver aluminum screws (part of bear canister assembly, not included with cook pan bundle) attach the cook pan/lid to the canister, and flathead notches allow for screw removal in the coldest temperatures with your tool of choice. 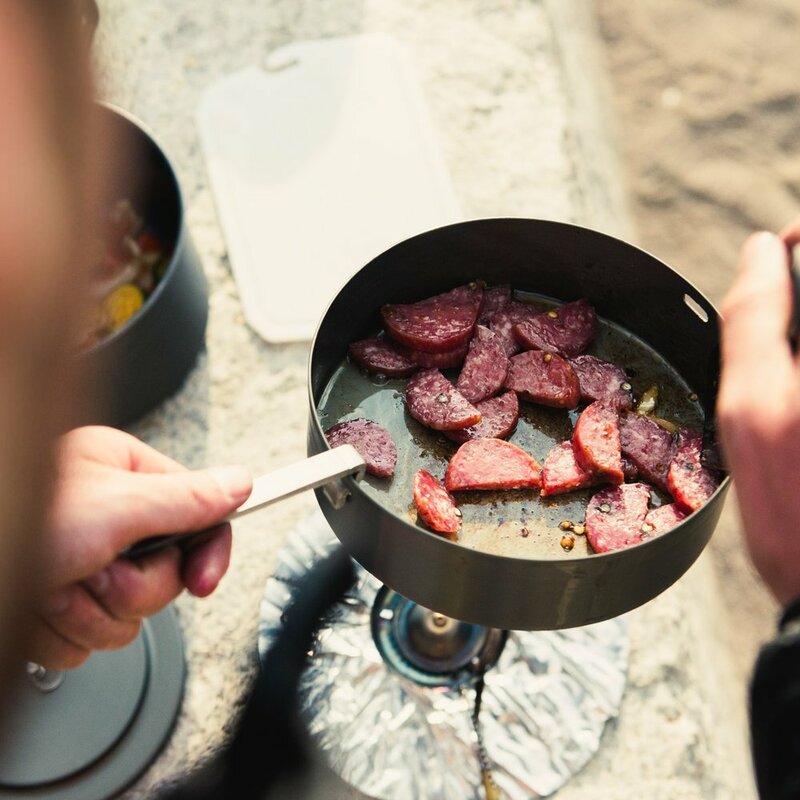 The cook pan bundle comes with a 2oz cook pan lid (fits both canister sizes, and not necessary for bear canister functionality) ready to be stowed in your pack or attached to its outside via the lid's handling ring.